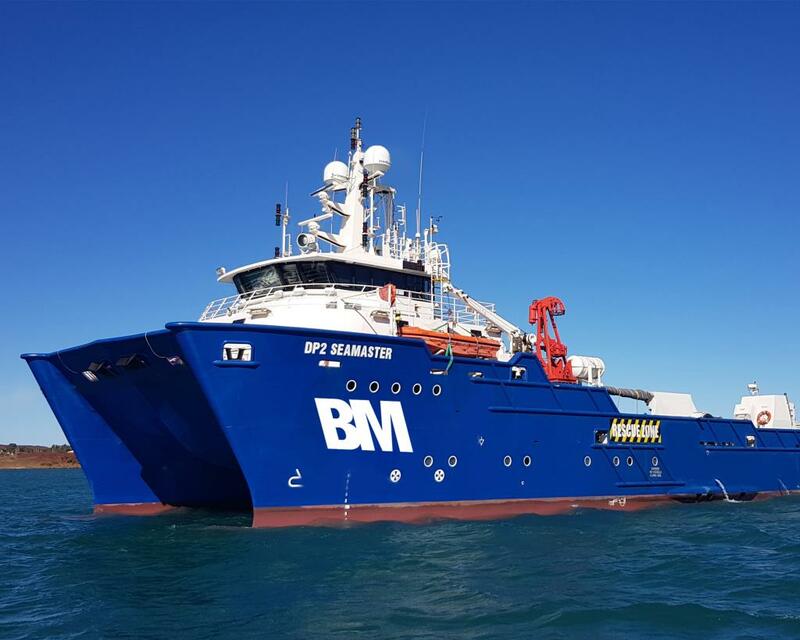 Just months after moving its corporate headquarters to Perth in order to strengthen relationships with Western Australia’s largest Oil & Gas clients, Bhagwan Marine has expanded its fleet further to meet the needs of those clients. The CMV Athos and the DP2 SeaMaster are both Dynamic Positioning (DP2) vessels, combining enhanced capabilities with greatly improved efficiency, safety and maneuverability. The CMV Athos is a 65m ABS Classed, Multi-Purpose Anchor Handling Tug Supply (AHTS), and the DP2 SeaMaster is a 40m multi-purpose catamaran ideal for in-field maintenance and repair duties including ROV, dive, safety standby, and accommodation campaigns. 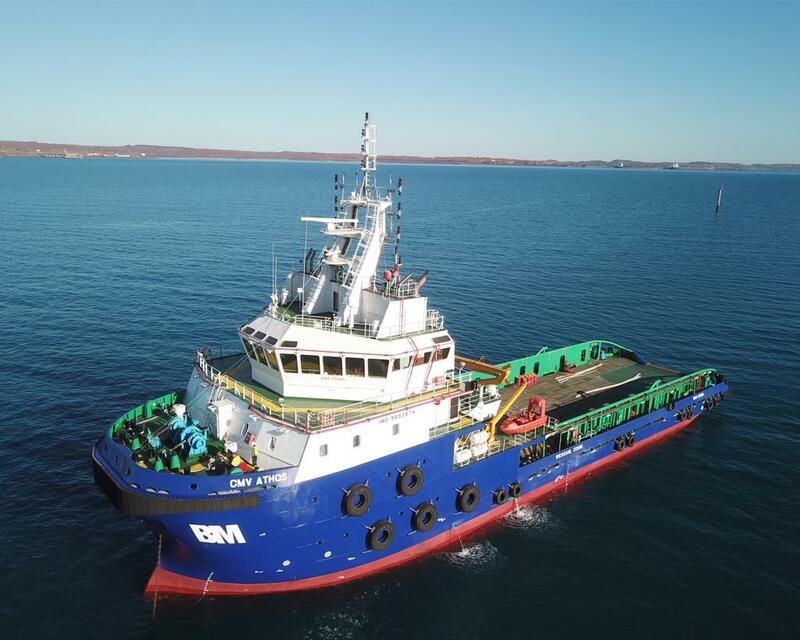 Upon arrival in Western Australian waters, both vessels were immediately deployed into term charters with Vermilion Oil & Gas Australia, Jadestone Energy and other Oil & Gas majors on various projects. In addition, the vessels have also serviced other clients including Santos in the ad-hoc market. Bhagwan Marine has been in the news recently, announcing the appointment of a respected industry leader, Peter Bengtsson as its incoming Chief Operating Officer. Describing the appointment of Mr Bengtsson as a “coup”, Loui Kannikoski said that more announcements are likely in the future, as Bhagwan continues its program of dynamic expansion. Anchor Handling Tug Supply (AHTS) / Offshore Support Vessel (OSV). The DP2 SeaMaster is a 40M Multi-Purpose ROV, Survey, Construction & Dive Support Vessel. Bhagwan Marine are a leading Marine Solutions provider operating in the Oil & Gas, Resources, Civil Construction, Marine Logistics and Defense industries. Our core service lines include Offshore Services, Inshore Services, Subsea Services, Engineering, Civil Construction Support and Project Management. With a large and diverse fleet of vessels, we have the experienced personnel, vessels and crew to exceed expectations for most marine assignments in any region.